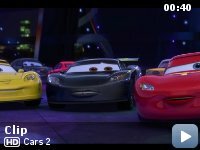 After Mater gets his best friend, star race car Lightning McQueen, a spot in the very first World Grand Prix, he is given the job of pit crew chief. But while they are in Japan, Mater crosses paths with Holly Shiftwell, a spy searching for an American spy. Unknown to Mater, the American spy attached a tracking device on him while being attacked. Thinking the tow truck is the spy, Holly and another spy, Finn McMissile, take Mater around the world to find and stop an evil plot created by "lemons," old cars considered ugly. The name Miles Axlerod, as voiced by Eddie Izzard, was taken from one of Izzard's stand-up routines about the invention of the wheel and axle. Errors made by characters (possibly deliberate errors by the filmmakers): J. Curby Gremlin introduces himself as "from Detroit". Gremlins were made in Kenosha, Wisconsin. Leland Turbo: [speaking into a video recorder] This is agent Leeland Turbo. I have a flash transmission for agent Finn McMissile. Finn, my cover's been compromised. Everything's gone pear-shaped. You won't believe what I've found out here. This is bigger than anything we've ever seen. And no one even knows it exists. Finn, I need backup. But don't call the cavalry, it could blow the operation. And be careful! It's not safe out here! Leland Turbo: Transmitting my coords now. Good luck! 16 years ago, Pixar Animation Studios released the first feature length computer animated film in history, Toy Story. What followed was an incredible run of success, an 11 film hot streak that yielded dozens of awards (including 11 Oscars), billions of dollars in box office receipts, and the admiration of audiences and critics everywhere. Year after year Pixar was a company you could rely on, and while not all the films were perfect, they all were at least of decent quality, and light years ahead of their competition from the likes of Dreamworks and Sony. So therefore it's heart-breaking to say that Pixar's hot streak has come to a crashing halt in 2011. 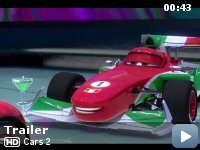 Cars 2 is not just the weakest film in Pixar's catalogue, it is the worst high-profile animated release for some time. 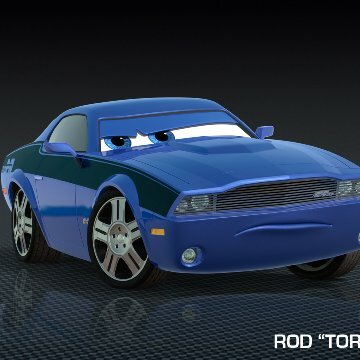 If there is one Pixar film that divides opinion much more than any other, it is 2006's Cars. While by no means a bad film, it just didn't hit in the same way as films like Toy Story, Finding Nemo, or The Incredibles. It did middling numbers at the box office (by Pixar standards) and currently sits with a 74% rating on Rotten Tomatoes, the only film from the studio below 90%. For director John Lasseter (also head of Pixar), Cars is obviously a very personal film, a nostalgic story about the loss small-town American values in the face of increased modernity. 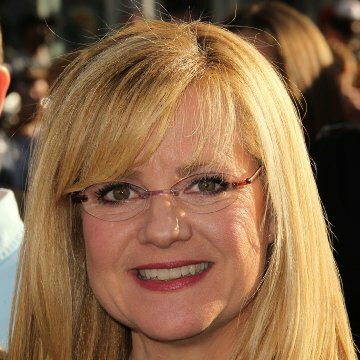 If it's not a complete success, credit must be given to Lasseter for at least trying to say something meaningful, and in typical Pixar fashion the film stands out in the increasingly crowded computer animation film market for at least attempting thematic depth, and it's ability to reach audiences both young and old. Cars 2 on the other hand is completely devoid of depth and subtlety, and will more than likely annoy adults while at times being arguably inappropriate for children. 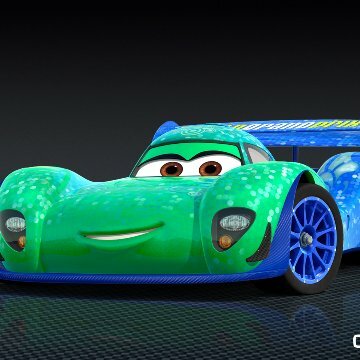 Returning director Lasseter takes the worst character from the first film (in my opinion the biggest reason for Cars' failure), and structures the whole story around his infuriating exploits. Imagine George Lucas, upon seeing the negative feedback following The Phantom Menace, making all of Episode 2 about Jar-Jar Binks. That's the kind of thing we're left with in Cars 2. Compounding the story problems is the troubling amount of guns and violence in the film. To make the argument that 'it's OK because they're just cars' is inexcusable. This is still supposed to be a children's film, and while the espionage sub-plot does have potential, there are elements that seem shockingly unsuitable for young kids. This brings up a question: why would Pixar choose to revisit the only film they have produced which could conceivably be called a failure? 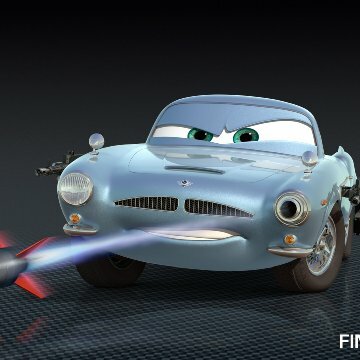 Lasseter is on record as saying that the company would only explore sequels to their films if a good story could be developed, and the level of quality of the two Toy Story sequels seems to back up this sentiment, but it's hard to believe that anyone would think the script of Cars 2 is worthy of that high standard. Interestingly, there is one other way that Cars stands apart from other Pixar films: the estimated $8 billion merchandising revenues. While all Pixar films have profited from merchandising, none have had the global appeal of Cars. 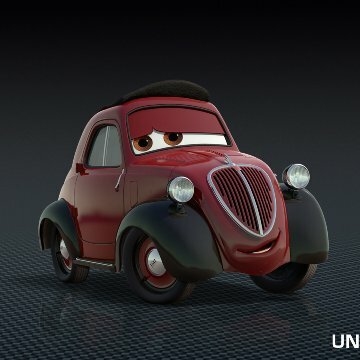 It's upsetting to think that Pixar, a company who seemed previously to place greater importance on the quality of its films than the bottom line, have gone for the easy cash grab, but there really seems to be no other reason for the existence of Cars 2. Everything about the films seems designed to increase the potential for selling merchandise, whether it's the films global locations which pander to international audiences, or the increasingly ridiculous characters and set-pieces, tailor made to be toys and video games. 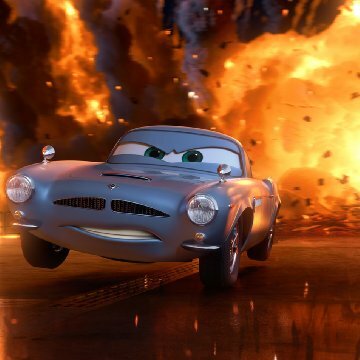 It's a cynical opinion, one which I had hoped I'd never feel towards a Pixar film, but it is undeniably true: Cars 2 is a film created not as an artistic endeavour, but to feed ancillary markets. Pixar's golden run had to end sometime, and one bad film is a small price to pay for 11 good, with two or three being genuine masterpieces. What is most unfortunate is the catastrophic level of Cars 2's failure, and Pixar will undoubtedly lose a lot of respect for making such a soulless film, unworthy of the studio's name.